Joe asked: First and second, one out, pop up along third base line. Umpire calls infield fly rule, third baseman loses it in the sun, ball lands fair and rolls foul. 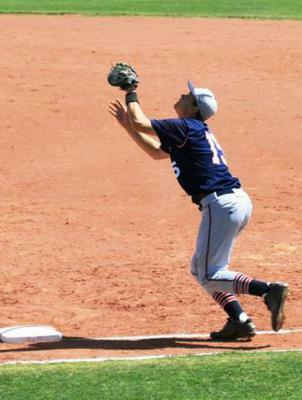 With runners on first and second, or bases loaded, less than two outs, when a pop fly goes up anywhere in the infield area, the infield fly rule comes into play. The umpire should have called out, "infield fly, batter is out, if fair." The ball was fair when it hit the ground in fair territory; but became a foul ball when it rolled into foul territory, not having been touched by a defensive player. Foul ball, runners return to their base, batter returns to hit, with one additional strike added, unless he already had 2. Umpires are supposed to make the call above; but it doesn't always get done. It still is the rule, called or not. Why does this "rule" exist? I've heard of this rule, but never knew what it meant. So, if the ball landed fair and stayed fair, the batter would be out? Even if no one touched the ball? What is the history and logic behind the creation of this rule? And why is it still around? And how is this different than a "pop up"? This rule seems to give the defensive team a very unfair advantage. Why not just give the team up to bat an automatic "one out"? I've certainly heard, "Infield fly, batter is out", but I've never heard the added if fair. I wonder if this has been shortened by umpires? It makes sense, though.